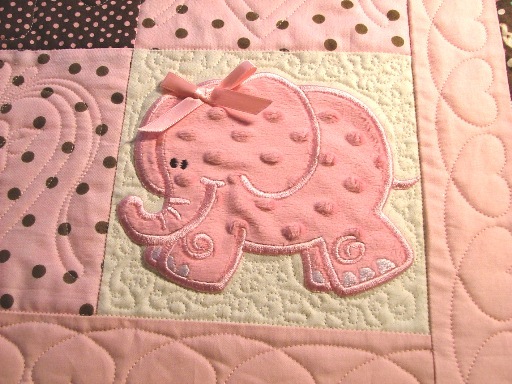 Babies --- gotta love 'em! 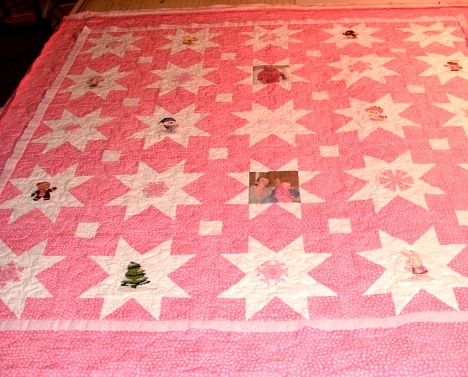 My friend Karen made the cutest baby quilt last week! 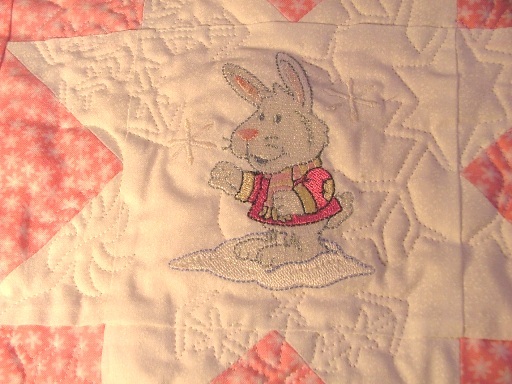 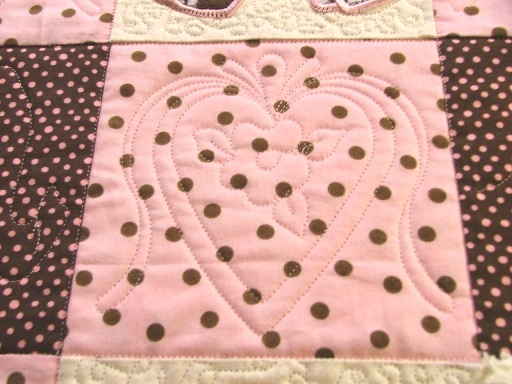 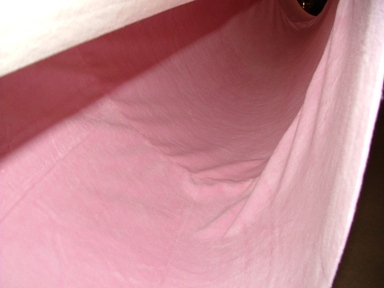 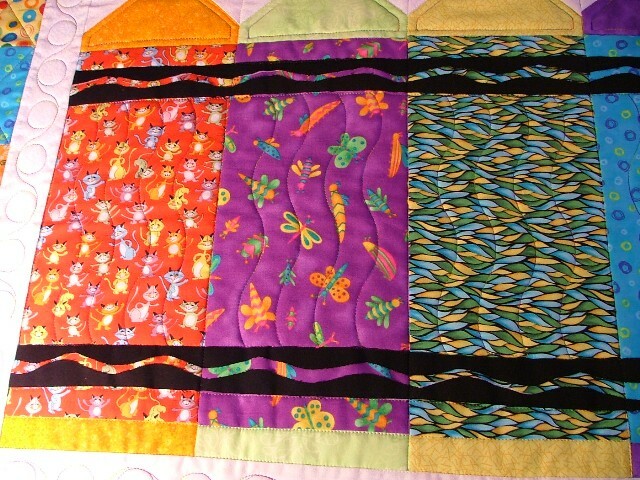 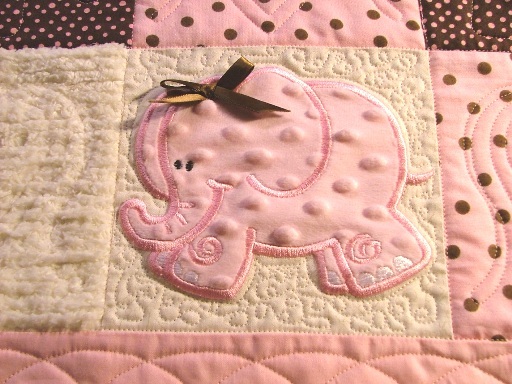 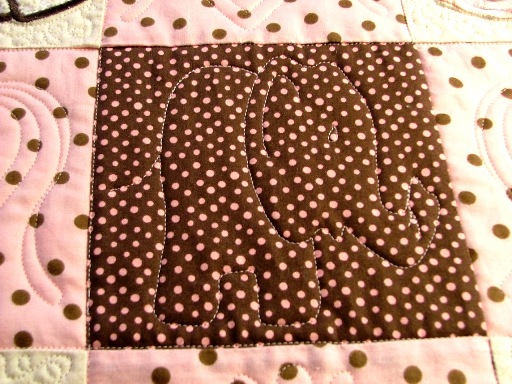 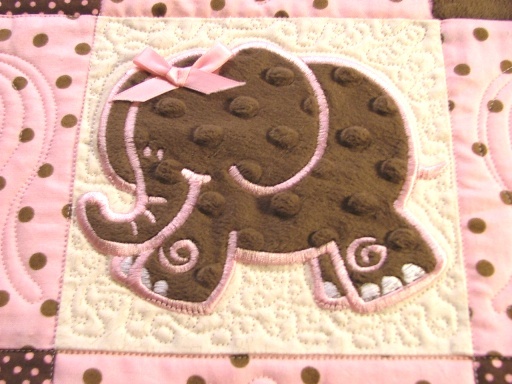 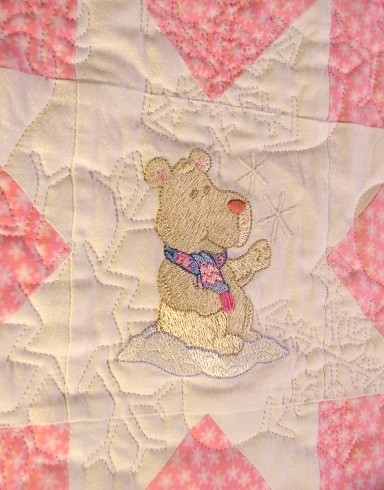 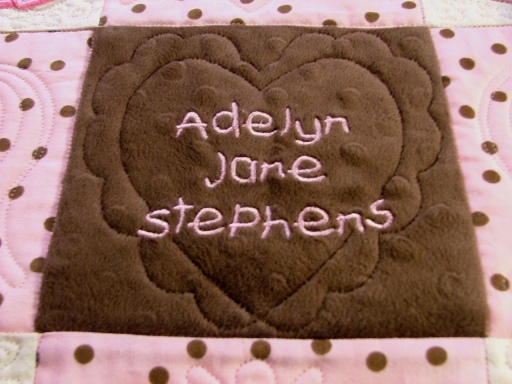 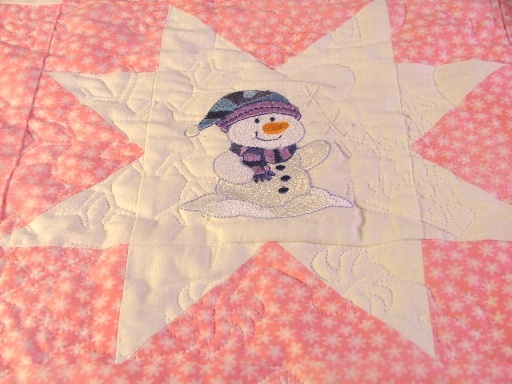 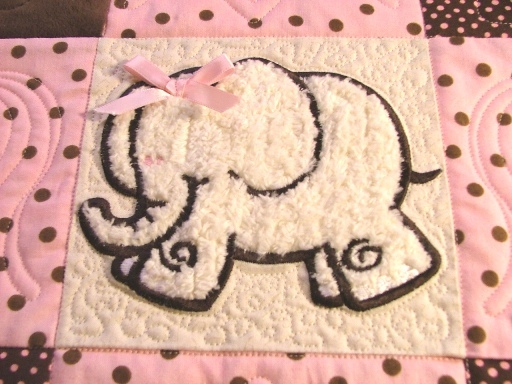 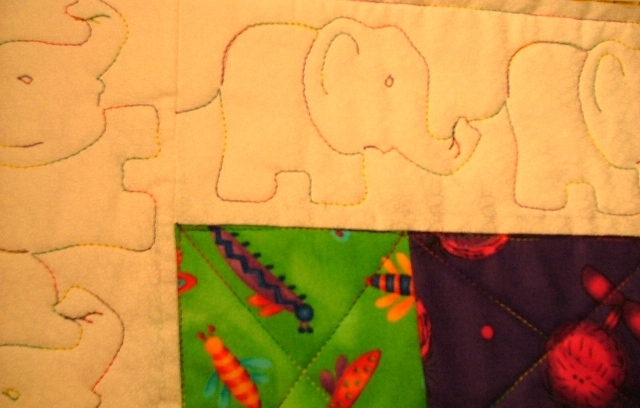 What is it about babies that brings out the very best in all quilters? 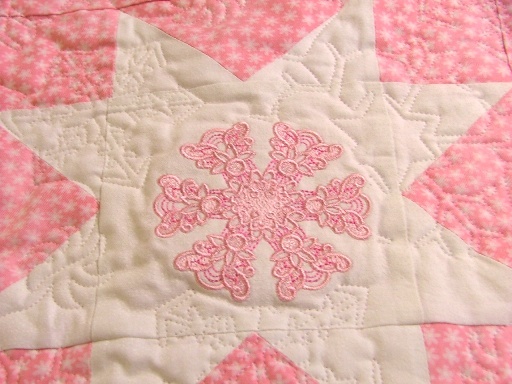 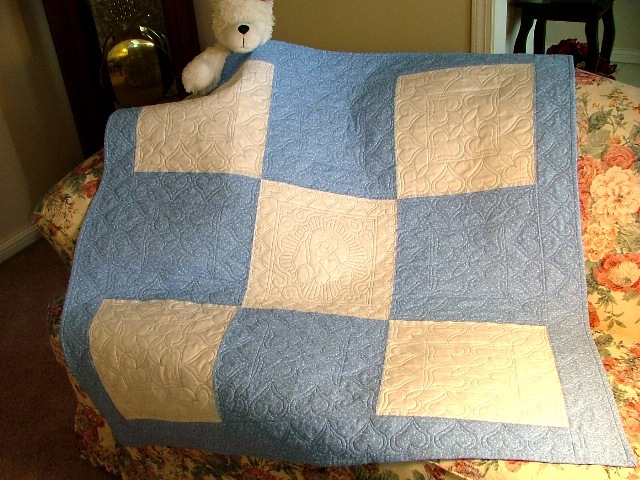 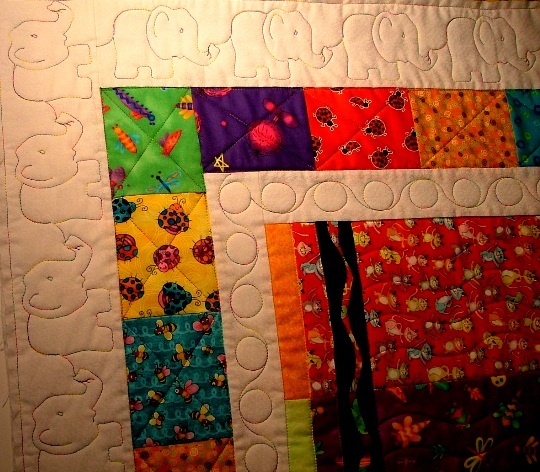 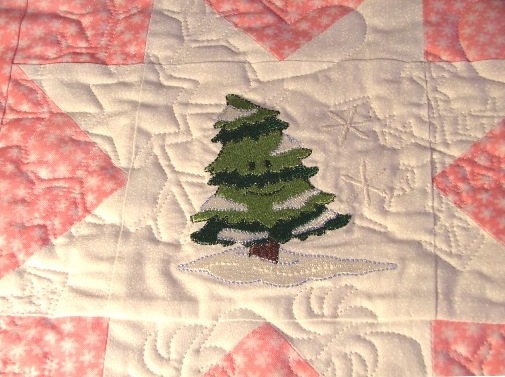 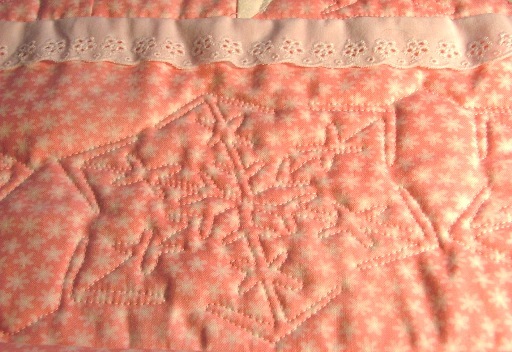 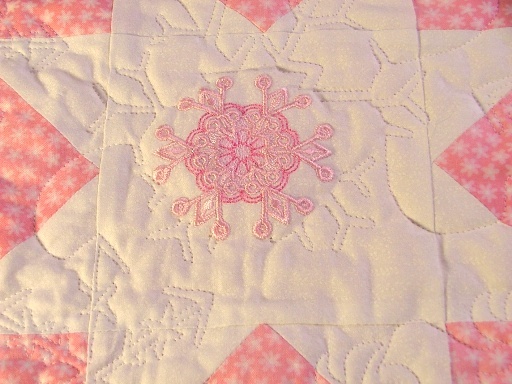 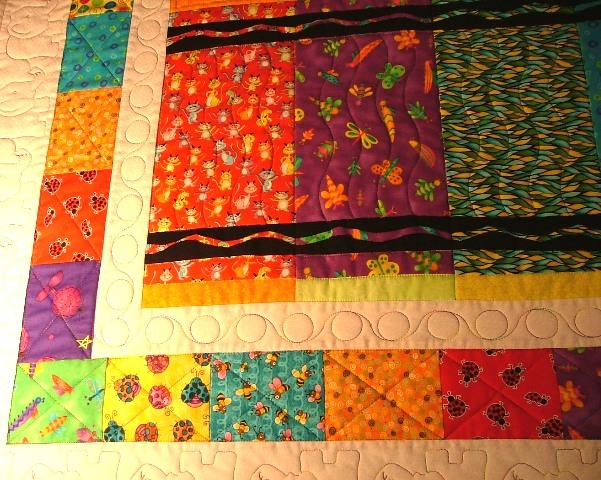 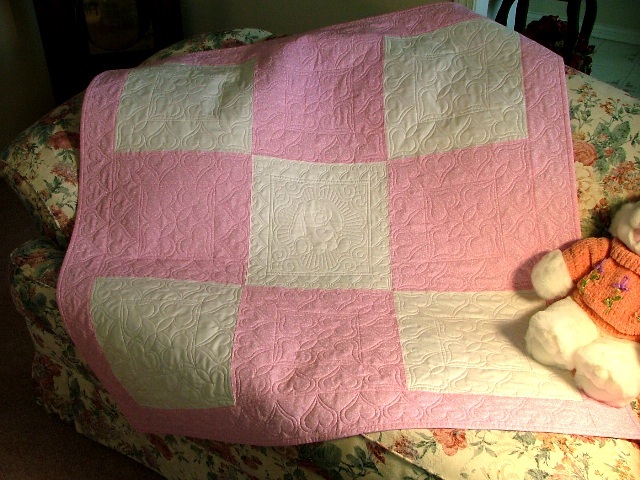 Her quilts are always beautifully pieced, but this one was extra-perfect! 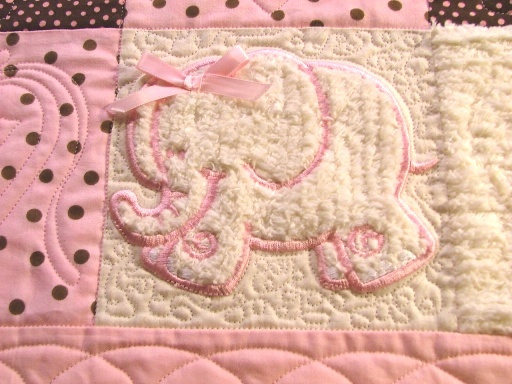 We had fun talking about the little angel that will be receiving this quilt as a gift, and how much love will be surrounding her when she is born. 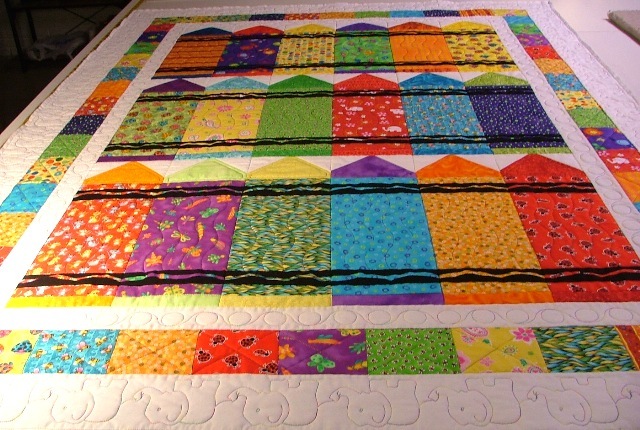 The corner created an interesting challenge, as we tied everything together to keep it visually consistent. 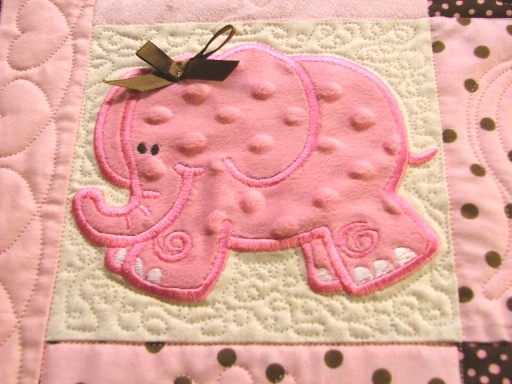 Don't forget --- you can click on all of the pictures here to see larger versions. 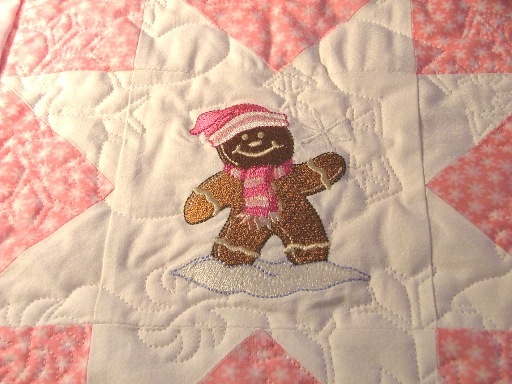 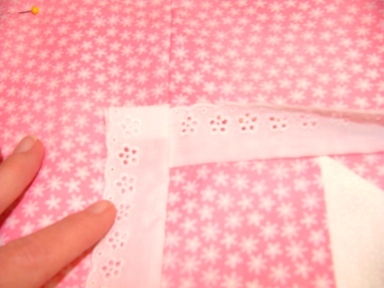 Karen is planning an embroidered label for the back of this quilt --- and I think that's the perfect touch! 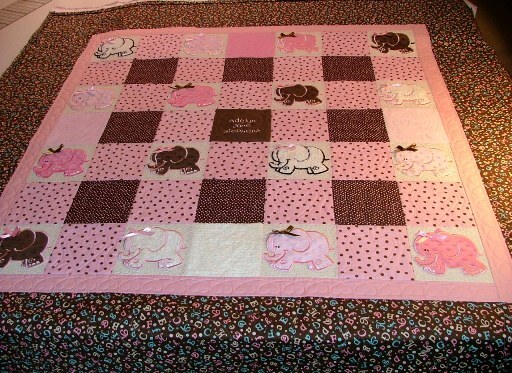 What a wonderfully lucky little baby!